All our coaches hold a current uk athletics licence and are dbs checked. most are first aid trained too. CHAIRMAN & DBS VERIFIER COACH FIRST AID I've been running since April 2014 so a relative newbie. In that time I have qualified as a leader, coach and currently completing my L3 Event Group specialist in Endurance running. I have coached all ranges from beginners, 5k, 10k, half & full marathon and ultra-marathons. I started the club in 2016 based on my love of trail running. I run mostly ultra marathons having completed distances from 50k, 50 miles, 100k and a few 100 milers. I'm currently training for the Centurion Grand Slam with 4 x 100 milers in 2018. Often found running around the woods! Always happy to help. COACH COORDINATOR COACH & FIRST AID I started running in March 2013 initially to try and lose weight. Having successfully lost several stone I actually found I enjoyed running. I continued to run for pleasure and started to enter several races (5K, 10K and 1/2 marathons). In 2015 I did my Leaders course and started to lead groups. I also completed my first marathon, one of the big five, Berlin. In 2016 I completed my Coaching qualification and celebrated by running an ultra marathon. I have run a couple of other ultra’s since, including the very hilly Guernsey 36. I am training for my first 50 mile race this year. I coach normally during the week, offering early morning sessions whether it be hill repeats or interval training. I am known for throwing in a few interesting challenges during the sessions. I have run quite a few races abroad in Europe and America combining them with holidays. I enjoy running mainly on trail, but occasionally run on road. I have started running with a dog we are fostering, opening up a new challenge of canicross. 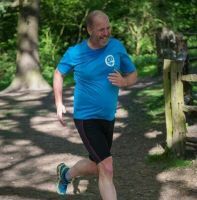 COACH Mike has been a member of the local running community for over 20 years, during this time running many Marathons, 24 hours Adventure Races, Mountain Orienteering Marathons, Ironman Triathlons, and recently Ultra Distance events. 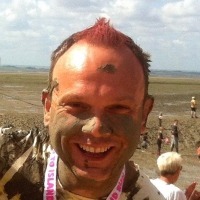 He has been a UKA Endurance Coach since 2000 and enjoys running the trails as well as taking training sessions. 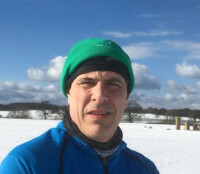 He also supports Havens Hospices setting up their marathon training program and provides advice and trains the team each year. 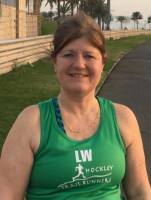 MEMBERSHIP & TREASURER RUN LEADER When I started running five years ago, I didn't think for one moment that five years later I’d be running a marathon AND an ultra marathon in the same year. I’d always played football, but the older I got the more injuries I picked up until my long suffering wife “encouraged” me to pack in the football. I needed something to fill the gap so went along to Southend parkrun and caught the running bug there and then. Since then, I’ve enjoyed numerous 5k, 10k and half marathon races and there’s nothing better than trail running on cool summer evenings or even through the mud on dark winter nights. I’ve recently completed my LiRF course and am looking forward to plenty more running challenges. 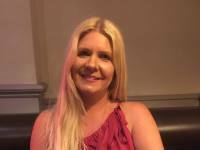 CLUB SECRETARY & SOCIAL COORDINATOR RUN LEADER FIRST AID I have been an 'on/off' runner for quite a few years, mainly road and usually always ending in me getting injured. I discovered trail running about 4 years ago as I needed to exercise my dogs and started running trails with them. 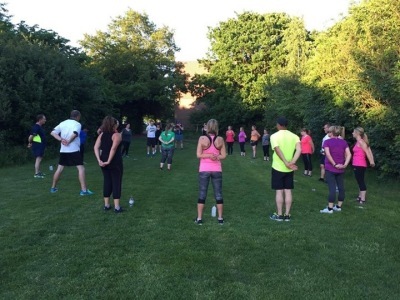 I came across Hockley Trail Runners and now I get to run trails with people! I mainly run 5k and 10k races but have recently completed my first marathon and I hope another one is on the cards soon. RUN LEADER FIRST AID I've always had a big interest in sport since my school days. For many years I played football until someone told me about parkrun then I became a runner!! I love helping people and being a run leader, I get the opportunity to do this. I always think sport should be fun so hopefully my runs (and legendary jokes) reflect this!!! We are always happy to welcome new members, leaders and coaches to our team. If you'd like to help talk to one of the team for more info. There are lots of things going on in the club not just running. So if you'd like to contribute we welcome the support.